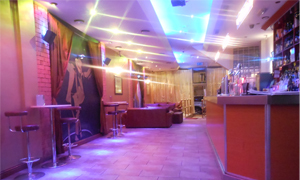 Situated in the Heart of the Cultural Quarter in Leicester City Centre, Midas Cafe Bar offers relaxed surroundings with a chill-out lounge, dance floor, disco lighting and DJ facilities. Two floors are available for private hire, each offering different settings and ambience. The bar benefits from a late Licence allowing DJs to play and parties to continue until the early hours. Midas was voted the Best Independent Bar by Best Bar None (the UK’s national awards scheme for best practice in the bar/club industry). We pride ourselves on this recognition of Midas as being one of the safest and best run venues in Leicester. 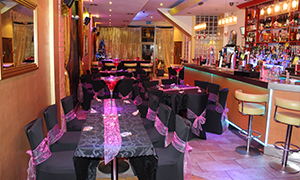 Midas offers two exclusive and elegant venues which cater for all party needs. 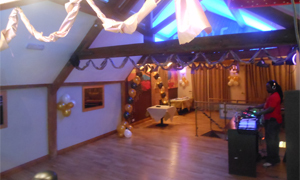 As the ultimate party venue, we aim to host the ultimate parties and make every event memorable. Make your next party a Midas party experience that everyone will always remember. Holding a party is a great way of reuniting friends and loved ones and commemorating something special, these days you can compliment the festivity with a fitting theme which can be as diverse as your imagination. We tailor make every aspect of your event to be as unique as you are. Your individuality is as important to us as it is to you and so with that in mind, nothing is standard except our excellent service. We have the flexibility to accommodate all types of functions ranging from 20 to 200 guests. Midas is the ideal venue for a truly memorable and spectacular event. The unique style and impressive levels of service provided by Midas can play host to a wide variety of events. The versatile ambience and setting will enhance any occasion.